As April closed her doors, wild & grace were invited to IdeaShare Twentytwelve project through Transition Town Tauranga, a networking night of sorts which saw fifteen projects presented and received, by inspired Bay of Plenty-ites. Held at Toi Tauranga, the exhibition space was edged with curious people amidst the cake stands of vegetable fingers and generously garlic-ed homemade hummus, Julia’s green weed fruit smoothies, and black and white sign up sheets for stimulating and worthy activities in the Bay. Some of you may be asking – What is a Transition Town? 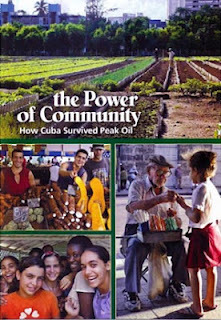 Wikipedia tells me: “Transition Towns is a grassroots network of communities that are working to build resilience in response to peak oil, climate destruction, and economic instability. Transition Towns is a brand for these environmental and social movements “founded (in part) upon the principles of permaculture”. I am sharing (this lengthy blog) about the evening as a way of packaging it for the unlucky people who missed these dedicated, skilled and passionate people and the presentations of the projects they ‘power’. I’m not going to try and sum up everything these people intend to or are doing, but aim to provide a directory for hungry parties to follow. In most cases background information is taken from the projects’ websites. So, here goes, in the evening’s chronological order. One bit of advice when you ‘like’ an organisation’s ‘stuff’ their facebook page or subscribe to their blog. It’s a simple quick way of keeping up what’s happening. Frocks On Bikes spontaneously emerged in New Zealand in the space of two short weeks in the lead up to the 350 Climate Action festivals being held in Auckland and Wellington. They mobilised over 350 Frockers pedalling for change – making a beautiful point as they promenaded through cities: normal, funky women embracing the bike as a fun and sustainable way to move. Since that initial momentum, Frocks On Bikes has exploded throughout Aotearoa! See Tauranga/Mt Maunganui’s branch for upcoming events. In June 2010 a Tauranga kid named Max was diagnosed with Cancer. Fast forward 6 months and Max’s Dad and a group of mates decided that they wanted to do something awesome to ‘pay forward’ the terrific support that Max received during his initial treatment at starship hospital. The concept was pretty simple. 4Good wanted people to feel good about giving and they didn’t want the dollar amount or having to choose a charity to get in the way. 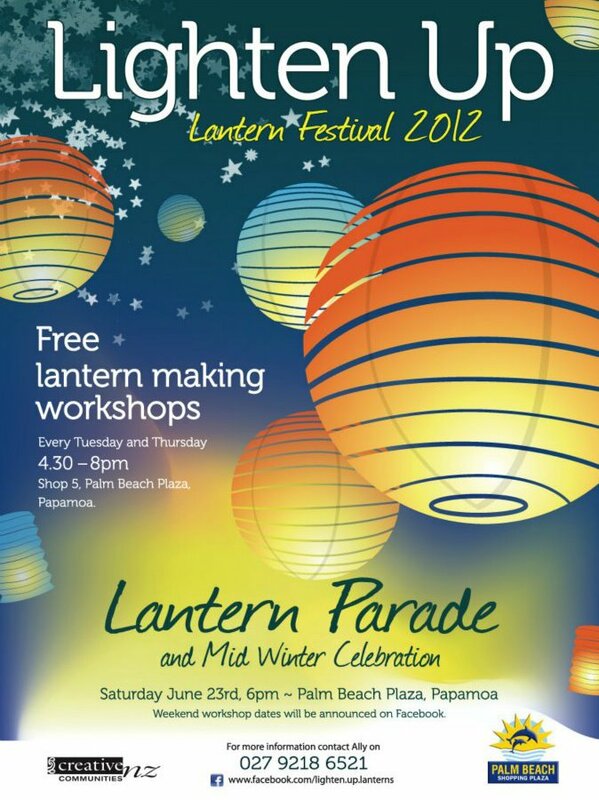 The Parade will feature the giant lanterns made and lit promenaded by their makers around the Papamoa Ponds to celebrate Winter Solstice/Matariki. Share books, DVDs, websites, articles & an occasional get together for discussion. The Community Garden did have a wait-list but currently have 3-4 plots available to rent (as of the 30 April 2012). A full site costs $20 per month, with 1/2 sites at $10 also available. Gardeners rent and tend their own garden plot. The plots are all ready to ‘Get Growing’ and are raised-beds to maximise ease and appeal. 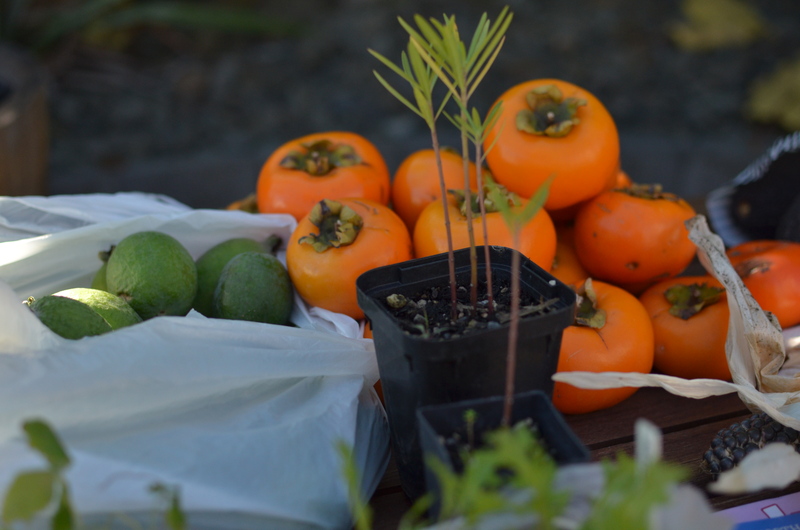 Start-up ‘Let’s Get Growing’ kits are supplied complete with seasonal learning opportunities. 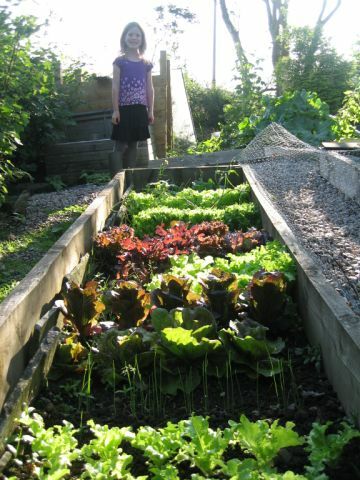 Anne suggested one of her favourite things about the Community Garden is sharing knowledge, seeds, produce and gardening time with others rather than being isolated in your own individual bordered backyard. Anna spoke about at least two projects she and her group are leading. 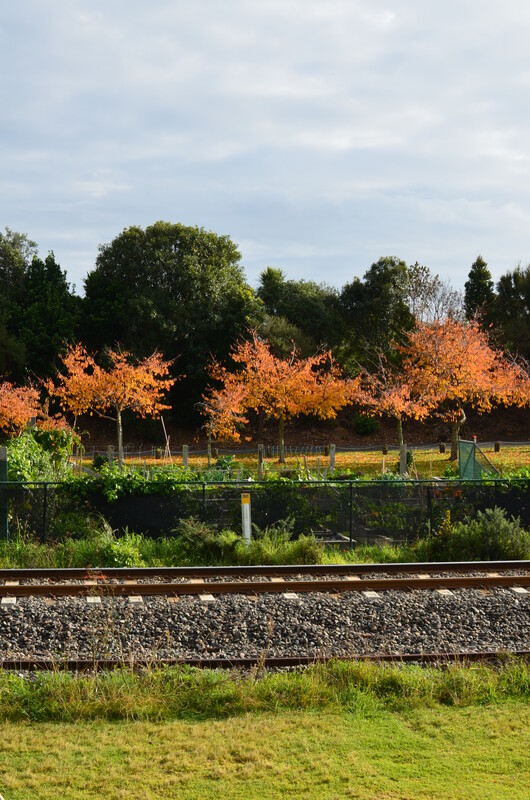 The first is a community garden for Welcome Bay, which is at an admin/sign off level at present. One thing that resounded was that Welcome Bay is calling out for a community spirited project and or space to unite the diverse group of homes/families that dwell there. Anna shared some colourful images of their fundraiser Gala Day/Fair and talked of community workshops such as bread-making and making liquid fertiliser which have featured already. Progress was made for others to adopt the already-established-but-needing-fresh-energy ‘Community Fruit Project’ which sees local surplus orchard produce collected and re-distributed to Salvation Army and other charitable bodies. “You can judge a society by how it treats its weakest members”, has been talked off in many ways by people such as Mahatma Ghandi and Winston Churchill. Creativity. Community. Nature. Well-ness. Sustainability. This means wild & grace celebrates the arts; brings people together; encourages all to get outside and be in nature (yours and everyones’); promotes happiness and well-being; and shares knowledge about and invites, environmental action. Not only do wild & grace initiate events, we write about other like-minded events happening in the Bay of Plenty, whilst also showcasing global people & projects. wild & grace is currently in the phase of collecting interested participants through facebook, wordpress (blog) and word of mouth. Feel free to subscribe to our blog, or LIKE our facebook page, in order to have your finger on the wild & grace pulse. The vision is that wild & grace will gather such momentum that it requires a purpose built learning centre in a rural setting, which attracts teachers from close and faraway of great skill and charisma, and participants (learners) from local, national and global communities reveling in the learning & sharing experience. A new group is being formed to promote and support each other to achieve optimum health through healthy eating, thinking, relationships, exercise and anything else shown to be beneficial and affordable. The group aims to promote a better understanding of health issues and practical steps on how to pursue good health through sharing information, books, websites, discussion etc. Michael Pollan’s (author of ‘In Defense of Food’) line ‘eat food, not very much, mostly plants’ was highlighted on the night. The idea really appealed to me on a personal level as some-days I feel more time-rich than I do money-rich (living on one income, in a recession, with a young family), therefore getting help (especially on our property) may be more attainable. I also know connecting more with our community, and helping people actually makes us feel stronger and happier. It’s proven in wonderful books like Sonja Lyubomirsky’s “The How of Happiness”. Tauranga Monthly Film Nights run by 4 volunteers (Ron Lopert, Gillian Oakbrook, Maureen & Ron Major) present informative, entertaining and educational films on topics not well covered by the mainstream media. About once a month they present a film, usually a documentary, covering an issue that is either ignored or poorly covered in the mainstream media, and on which information may not be easily accessed by the general public. These films cover issues such as environment, peak oil, climate change, health/nutrition/eating, politics, human rights, animal welfare, sustainable living. They often have guest speakers after the films (for those who want to stay on) to discuss issues arising from the film and to answer questions. Nourishing Traditions: The Cookbook that Challenges Politically Correct Nutrition and the Diet Dictocrats by Sally Fallon and Mary Enig, was the stand out feature for me brought up by the articulate and knowledgable Jane Powell. My limited understanding is this is the ‘text’ that underpins Weston A Price Health. What is Weston A Price Health all about? “The Weston A. Price Foundation is a nonprofit, tax-exempt charity founded in 1999 to disseminate the research of nutrition pioneer Dr. Weston Price, whose studies of isolated nonindustrialized peoples established the parameters of human health and determined the optimum characteristics of human diets. Dr. Price’s research demonstrated that humans achieve perfect physical form and perfect health generation after generation only when they consume nutrient-dense whole foods and the vital fat-soluble activators found exclusively in animal fats. In May 2012 Jane is starting a group committed to learning about Weston A Price Health, so head along to the initial meeting to learn more. Weston A Price have members with Ooooby. I went to my first Ooooby last Saturday and had a blast. The last head count would have been around 25 people, who gathered firstly to drink Julia’s green smoothies and talk about drinking raw milk during pregnancy among many other things. We then moved out into the garden where some of the more experienced gardeners suggested to Kelli (the host) what to encourage, how to encourage it, and what to ‘repatriate’ in her new and first garden. Edible was very much the flavour of the day. The tour of the Matua garden past Kelli’s hay-bales ready for mulching finished at the trading table where Ooooby-ers swapped swan plants, bulging feijoas, avocados, persimmon, guava and some roots resembling ginger I didn’t catch the name of. I found it delicious meeting like minded people, lovely to wander about in the canopies of autumn trees on a sunny Saturday morning, and rather like Christmas leaving with a colourful edible offering for my family. Julia generously made and distributed (on the night) great batches of her green weeds (aka wild greens) smoothie which contains ingredients as common as dandelion and as reassuring as banana, apple, and pineapple. She offers workshops and is passionate about all having access to inexpensive greenery to digest in a palatable form for happy healthy living. Good on you for getting to the bottom of this abundant blog. wild & grace hopes you benefit from these remarkable people forging generous events and I (Emily) trust I’ll meet you at some of them soon. Arohanui and go well. Do we have a venue for this week’s Western A Price? Thought I’d fb it for thing to do this week.